The Australian Thyroid Foundation Ltd (ATF) was founded in 1995 by Gail Ballantyne and a small group of people with different thyroid disorders, who wanted to provide support and educational services to members and their families. 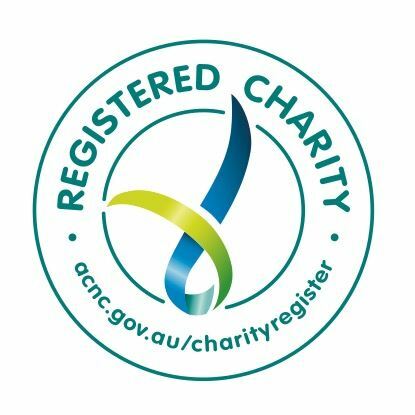 Today the ATF is a national not-for-profit organisation with charity status. The ATF’s focus is to support and educate its strong member base and promote our Good Thyroid Health Messaging throughout the Australian Community. The ATF is a company limited by guarantee under Australia law. The organisation is headed by company directors and a strong committee, who are mostly members of the organisation and are responsible for the day to day organisation of company business under the company constitution. The directors of the company are responsible to the Australian Taxation Office (ATO), the Australian Securities and Investment Commission (ASIC) and the Australian Charities and Not-For-Profit Commission (ACNC) and the Office of Liquor, Gaming and Racing (OLGR). The ATF hold ABN 28 080 557 642. The ATF is income tax exempt and is also a deductible gift recipient with the ATO. Donations over $2 are tax deductible under Australian taxation regulations. The ATF is recognised by The Food Standards of Australia and New Zealand (FSANZ) as the consumer advocacy organisation for iodine deficiency and thyroid disorders. The ATF is a member of Thyroid Federation International (TFI), a world-wide thyroid patient organisation dedicated to global action of thyroid related issues. The ATF is proud to have the support and expertise of a Team of Medical Advisors. The Medical Advisory Team are Australian medical specialists and associated medical officers who have devoted their life’s work to improving outcomes for thyroid patients through research and working with The Australian Thyroid Foundation. After being diagnosed and treated for thyroid cancer in 1994 I was dismayed by the lack of information available to thyroid patients in Australia. I had undergone radioactive iodine treatment and was taken off oroxine for the 6 weeks after surgery leading to the treatment. I was feeling very unwell and was barely able to function. It was the start of the internet and I started to search for information when I came across some great information on the Canadian Thyroid Foundation website. I made contact with them and they kindly sent out some reading material. I also shared my frustration with my doctor, Professor Stephen Boyages, from Westmead Hospital, about the lack of information available in Australia; He agreed with me and challenged me to do something! He offered to assist me in setting up a group for information here in Australia. My sister introduced me to a colleague, Robyn Alderton, who had just recovered from thyroid cancer, and she along with Angela Cannuli, Rosetta Misitano and Liela Karranunda agreed to attend the initial meeting, along with Professor Boyages and his endocrine nurse Lyn Taylor. We formed a committee and started planning an Information Day to generate members, and I became the president, Robyn the secretary and Rosetta the treasurer. Following an article advertising a seminar in the local newspaper, which included my phone number, I was inundated with calls and we had more than 100 people at the seminar. Professor Stephen Boyages and Dr Bruce Barraclough were very generous with their time and spent over 2 hours presenting information and answering questions from a very interested auditorium full of Thyroid patients. The Canadian foundation allowed us to use their brochures about thyroid disorders and this saved us hours of time and money, as well as giving helpful information to our members. Robyn and Rosetta worked very hard to establish the foundation and since those early days many capable and committed people have been responsible for moving the foundation to where it is today – in the capable hands of Beverley Garside who works with the support Of Professor Cress Eastman, Professor Leigh Delbridge and Professor Bruce Robinson who have all given time in supporting the ATF.